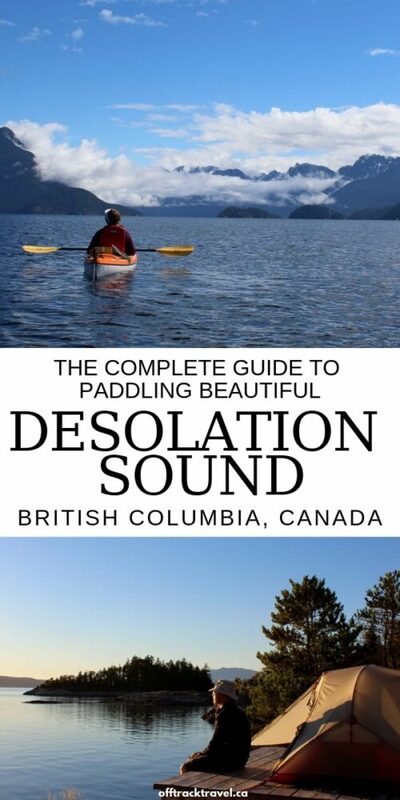 One of our favourite paddling destinations has to be Desolation Sound on British Columbia’s Sunshine Coast. If you’re planning an adventure (and trust me, you should be! 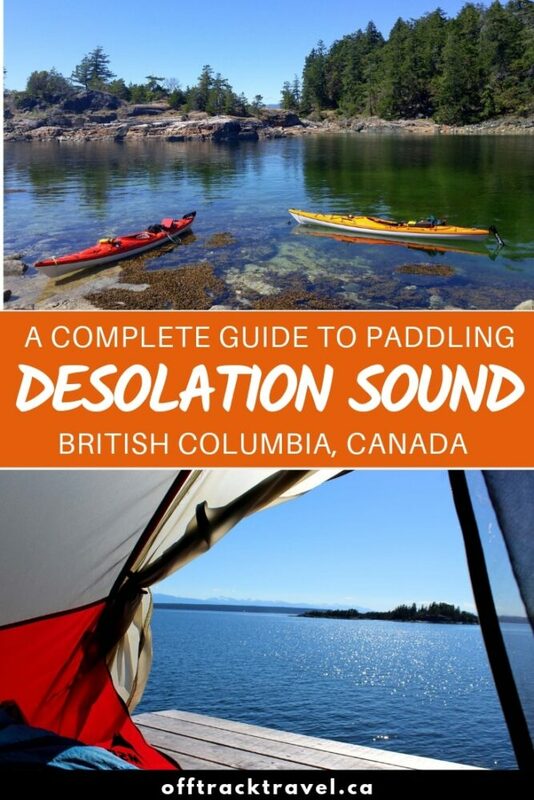 ), here’s everything you need to know when organising your paddling trip Desolation Sound, British Columbia. Remember to always follow Leave No Trace principles when exploring the backcountry and be sure to bring the 10 essentials. Some links within this post are affiliate links which means if you purchase an item through these, I may receive a small percentage of the sale at no extra cost to you. If you’re planning a trip to Desolation Sound, let me know in the comments! Natural beauty. 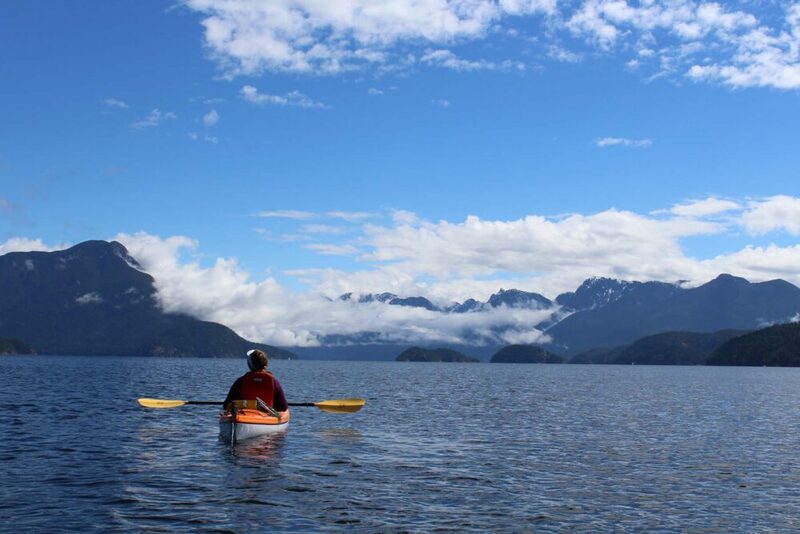 Protected bays, towering rock bluffs and idyllic islands framed by a mountainous backdrop….paddling in Desolation Sound is breathtaking. Scenic campsites. 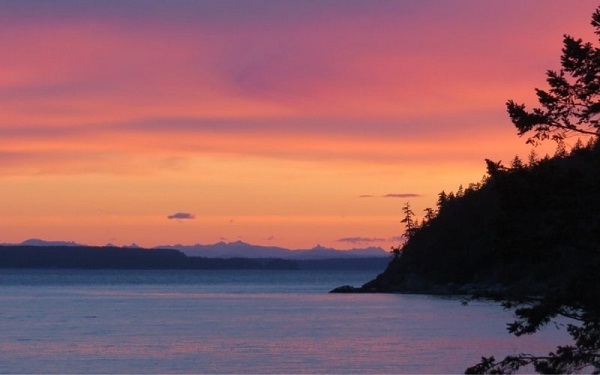 Situated on small islands, dramatic headlands and nestled into cosy bays, Desolation Sound’s camping areas are all picture perfect in some way or another. Desolation Sound camping areas lend themselves well to easy base camping trips as well as touring adventures. More than a paddling trip. Desolation Sound isn’t just limited to exploration on the water. 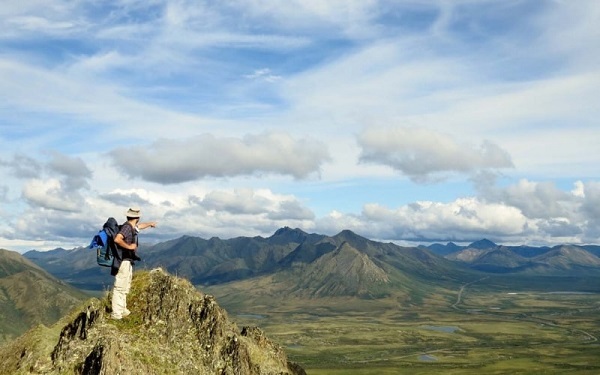 Combine your paddling with hiking, swimming, fishing and wildlife watching! A warm welcome. The warmest waters north of Mexico can be found in Desolation Sound. It’s possible to swim in the ocean (comfortably!) as early as May here. Great for all paddlers. 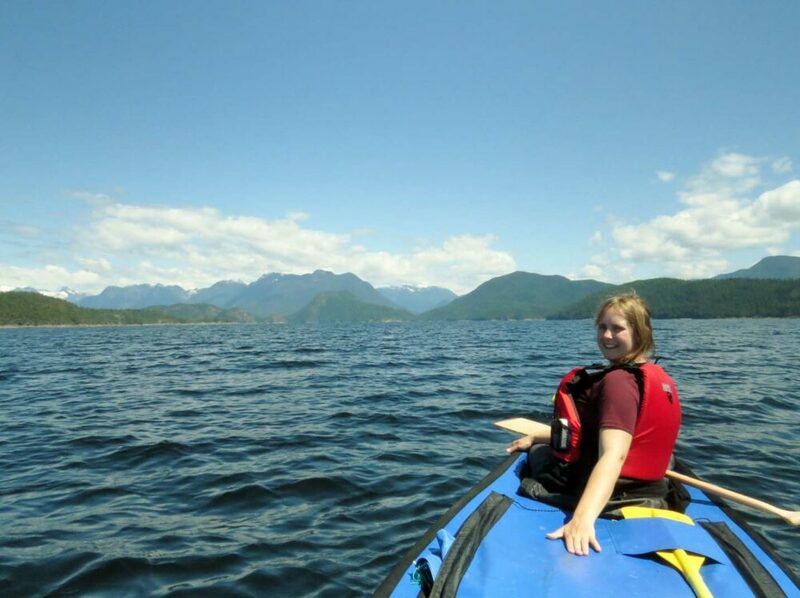 Desolation Sound’s calm, warm waters, sheltered bays and comfortable campsites are perfect for first-time paddlers. The area is also a good launching point for longer and more challenging BC coastal trips (Toba Inlet, Discovery Islands). Desolation Sound is located at the top of British Columbia’s Sunshine Coast. A minimum of two ferries are needed to get here from the BC mainland. 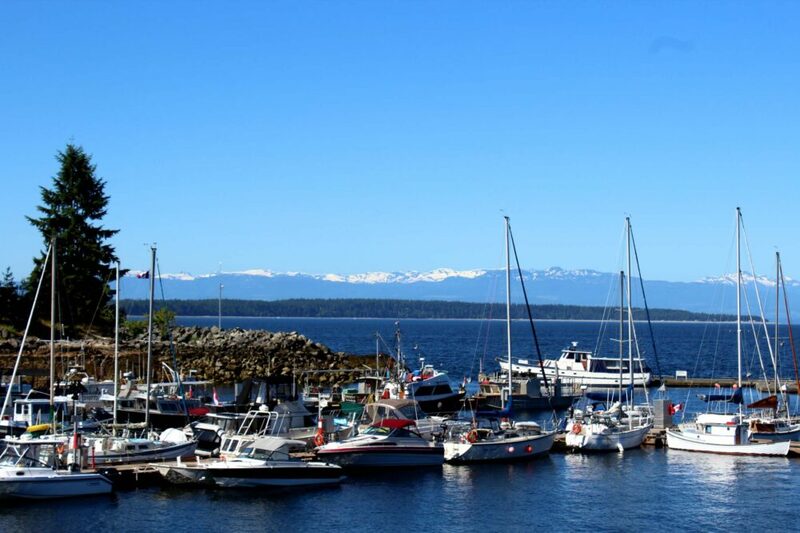 Powell River is the last major refuelling place for groceries and other paddling supplies. 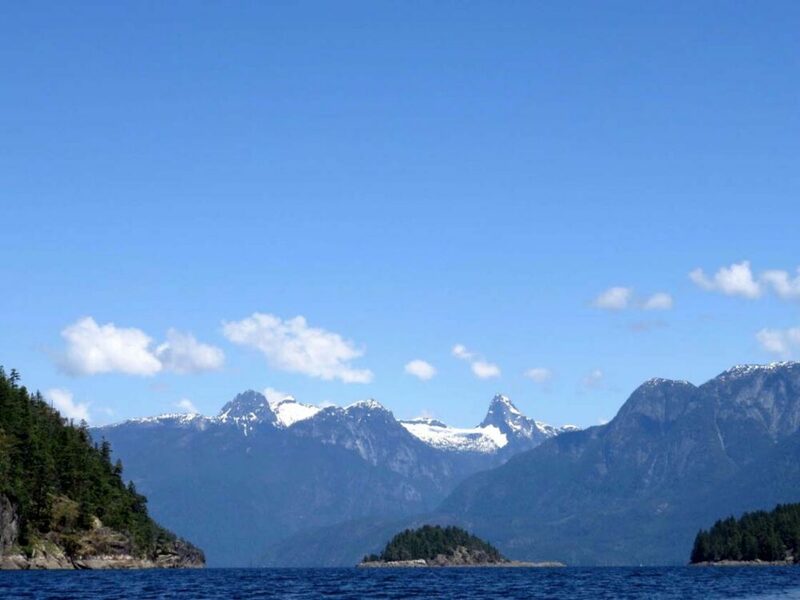 The two main launching sites for Desolation Sound are located at opposite sides of the Malaspina Peninsula, at the top of BC’s Sunshine Coast. Highway 101 ends at the tiny town of Lund. Here, you’ll find a handful of hotels, restaurants and shops plus a paid long-term parking lot and all important boat launch. The marina kayak launching and pick-up fee is $5 per kayak ($10 return trip), payable in an honesty box. There are flush toilets available for public use at the marina. End of the Road Parking Limited looks after the main Lund parking lot, with regular office hours 8am – 5pm. They usually ask kayakers to keep their keys (they also offer valet service) to allow for early/late departures. The fee is $7/24 hours. It is also possible to park on the side of Highway 101 approaching Lund, with no security. Looking to book a stay in Lund before or after your kayaking trip? 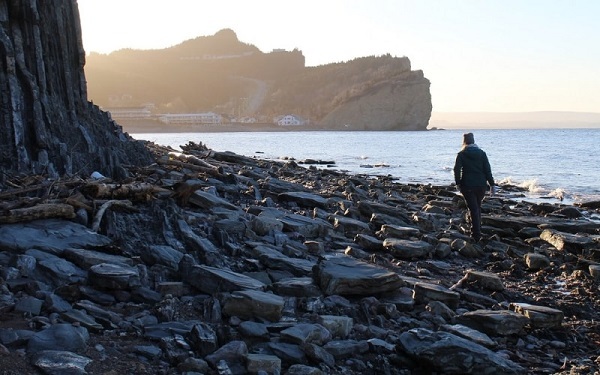 A little further south of Lund on the eastern side of the Peninsula is Okeover Arm harbour. There is a government dock and boat launch here, with a $2 fee for kayakers ($4 return trip). A large (free) parking lot is located on the other side of the road. We had no problems parking here for 5 days. A very short walk away from the boat launch is Okeover Arm Provincial Park. There are 14 first-come first-served vehicle accessible campsites available for $14/night. Looking to stay near Okeover? Having launched paddling trips from both Lund and Okeover, my personal preference would be to leave from Lund. 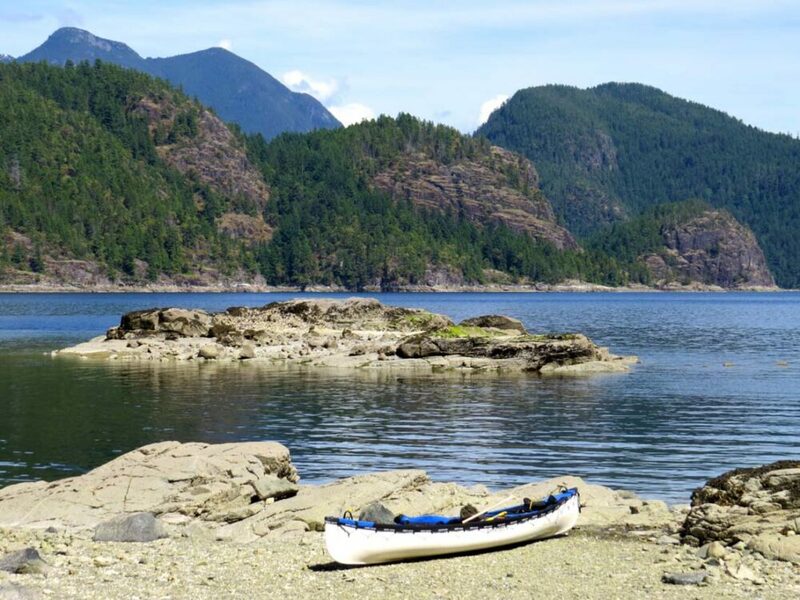 Both are equally convenient for paddling in Desolation Sound and have all the facilities needed, but I think the experience is more interesting from Lund overall. 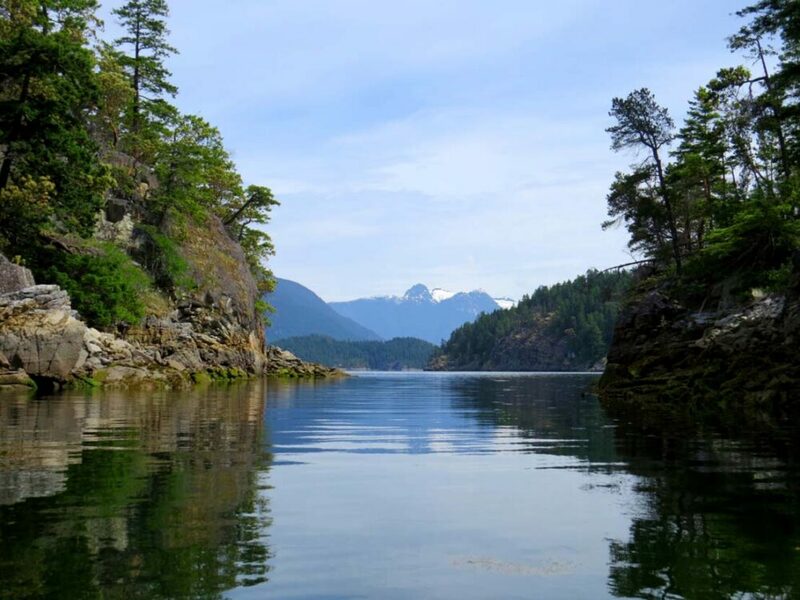 While Lund may have more boat traffic, the narrower parts of Malaspina Inlet can have currents up to 4 knots at times. There are also more camping and accommodation options closer to Lund than Okeover, handy if starting late on the first day. The perfect solution would be to start at Lund and end at Okeover (or vice versa!) if you are able to have two vehicles. 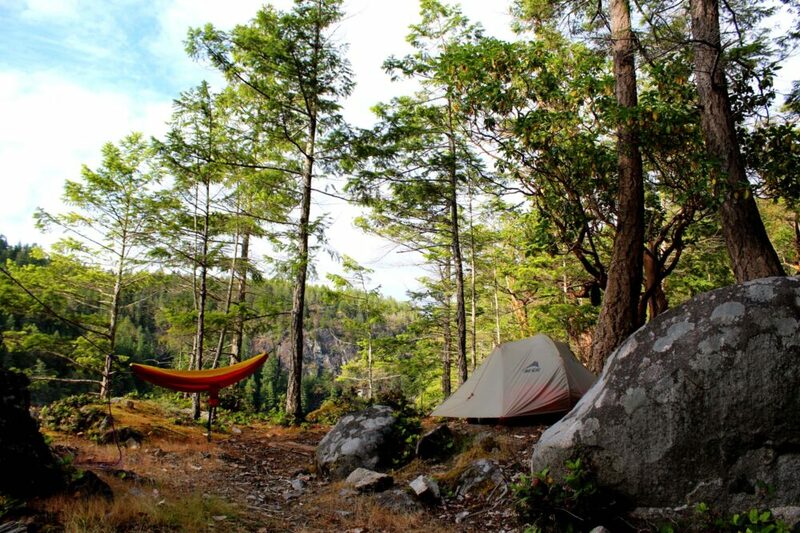 Campsites in Desolation Sound generally come in two forms: Marine Provincial Park sites and informal camping areas. The latter offer no organised facilities but have been previously established by other boaters. Wild camping on crown land outside of the Provincial Park is allowed, but suitable land (easy access with flat, cleared space) is in short supply. 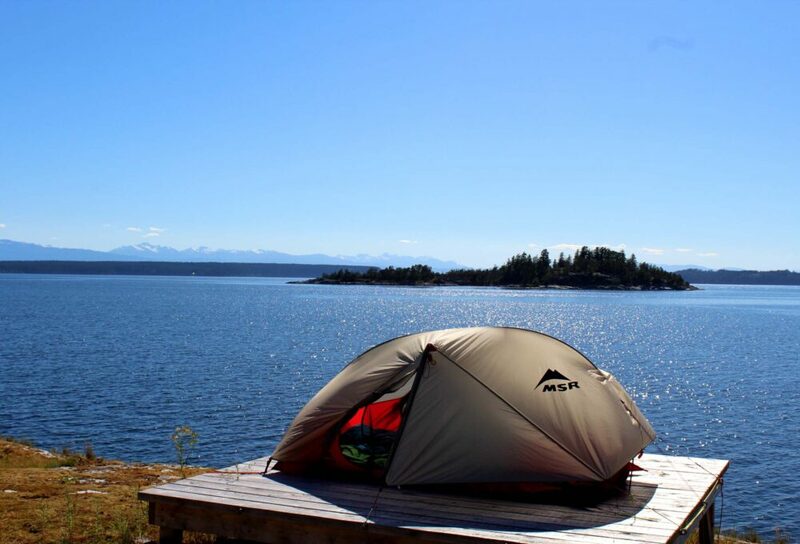 There are 11 designated backcountry camping areas in Desolation Sound Marine Provincial Park with almost 70 tent pads total. Fees are $5 per person, per night, payable between June 1st to September 15th every year. There are deposit boxes in both Lund and Okeover, or you can pay online for your Desolation Sound camping. Note that buying a permit does not constitute a reservation. 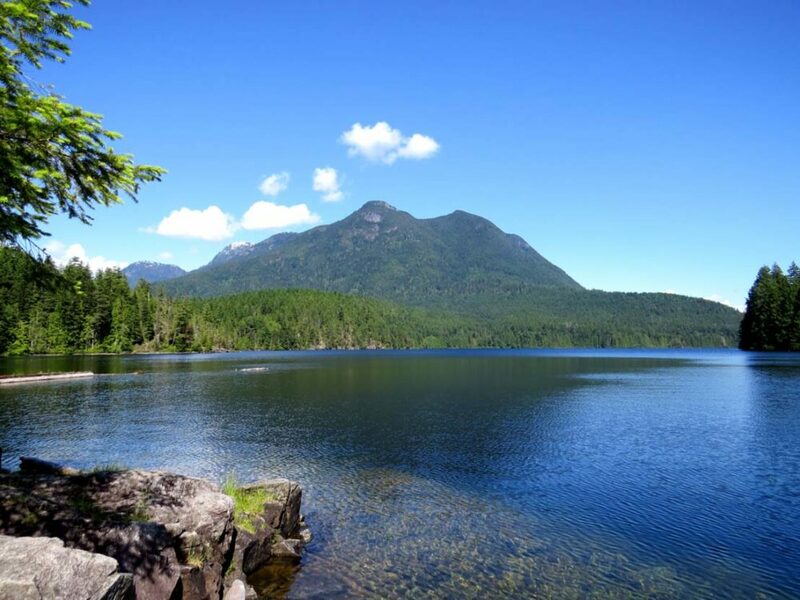 The camping areas are split into three general groups – the Copeland Islands, around Malaspina Inlet and the Curme Islands. Tent pads must be used due to the delicate ecosystem in each location. There are outhouses at all Desolation Sound camping ares. No fresh water or food caches are available at any of the camping areas. 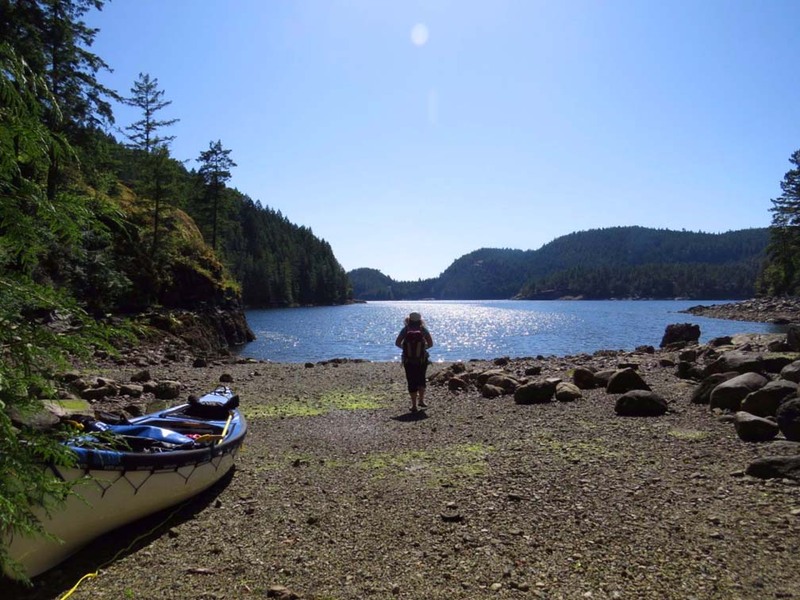 The Curme Islands are a top destination for a lot of Desolation Sound kayakers. With a central position in the Sound, great campsites and epic views of the mountain, it’s easy to see why. 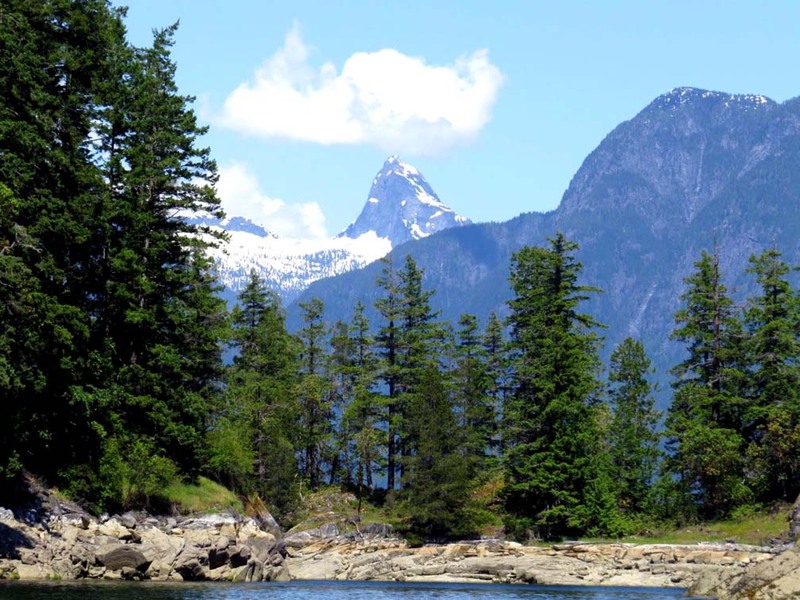 Aside from Desolation Sound, there are a few other Provincial Parks in the wider area. Roscoe Bay, to the north of the Curme Islands, has space for 4-5 tents (with an outhouse) at the far west of the inlet. The fee is $5/per person/per night. 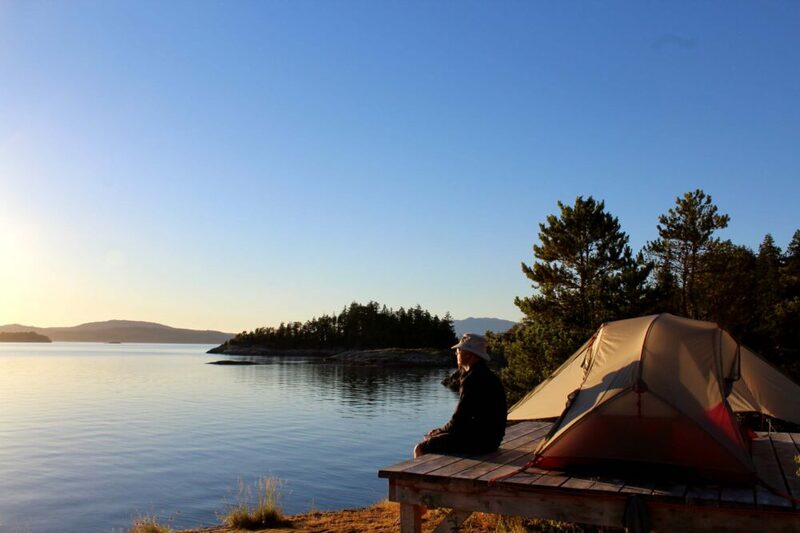 There are a few completely free unofficial camping areas outside of the Provincial Park. Martin Island and Kinghorn Island both have a couple of areas each (note that the latter also has an eco resort). 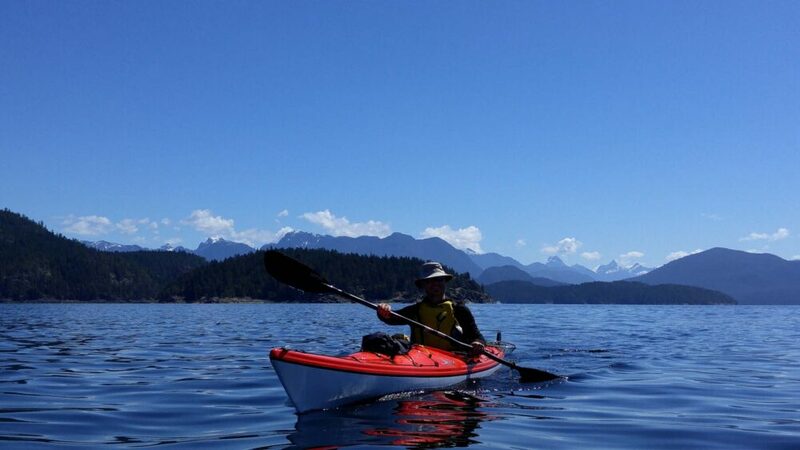 Paddling in Desolation Sound is easy. The water is generally warm, calm and sheltered. There are a few open sections that must be paddled to reach the most popular camping locations (Curme Islands), but these are very short (2-3km). That all said, we have experienced some wild windy days on the water on Desolation Sound. On our first trip, gale force winds were predicted to arrive on the afternoon of our last day (thanks, VHF radio). So we packed up quickly and got onto the water early for a quick exit. The winds came in earlier than expected and we battled some metre and a half swells before finally turning into the much calmer Malaspina Inlet. There was also one ferociously windy day during our last trip, this time in the northern Desolation Sound area. Luckily we had nowhere to be so we were able to leisurely wait it out. Some very tired kayakers joined us at our Martin Islands campsite that afternoon, having taken almost the whole day to paddle the relatively short distance from the Curme Islands in high winds. Moral of the story: always allow more time for your trip than necessary and assess the weather conditions (and forecast) before setting out. 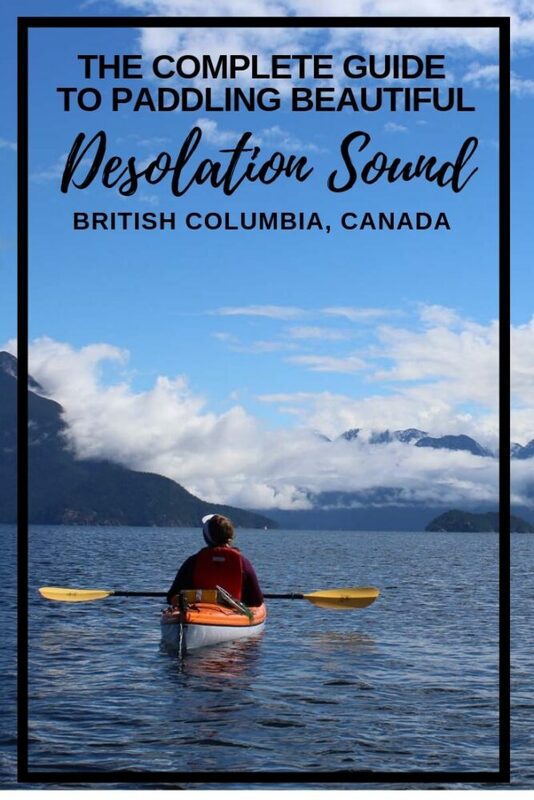 Desolation Sound may be one of the most sheltered and calm areas of the BC coast, but it still can be hit by high winds and dangerous paddling conditions like everywhere else! Cell phone signal is prevalent (as are other boats) throughout the Desolation Sound area. Even knowing this, we still like to carry a basic VHF radio. 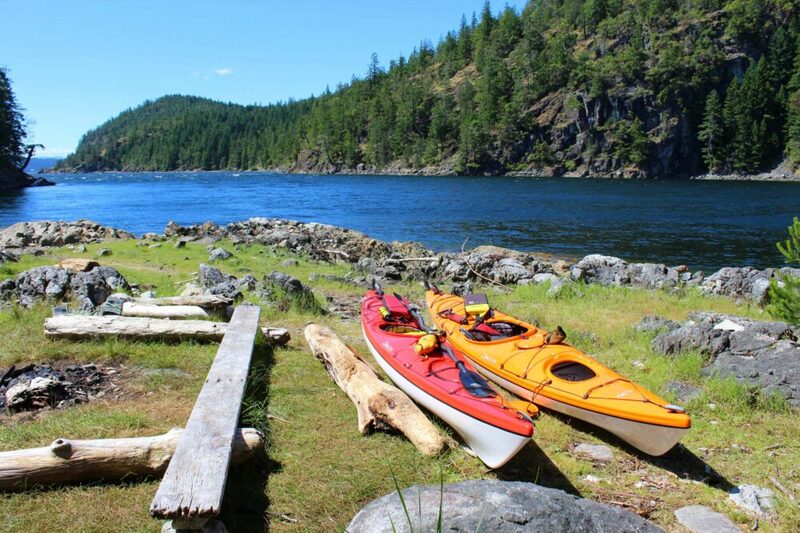 There are several places to find fresh water while paddling in Desolation Sound. The most obvious sources are Unwin Lake and Black Lake, accessible via short trails from Tenedos Bay and Roscoe Bay respectively. Not just great for collecting water, both lakes are also perfect for a swim! 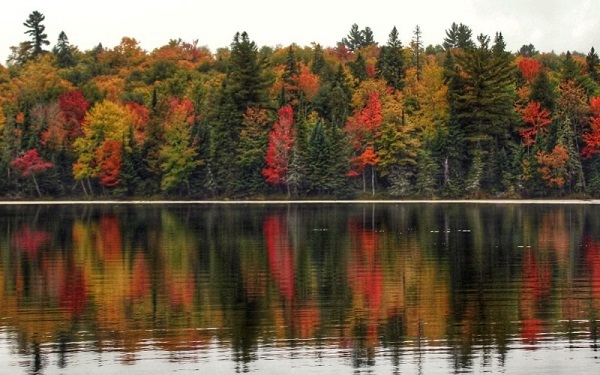 Keep in mind that the lake water should be treated before drinking. Fully treated water can be found at the boater’s supply village of Refuge Cove. 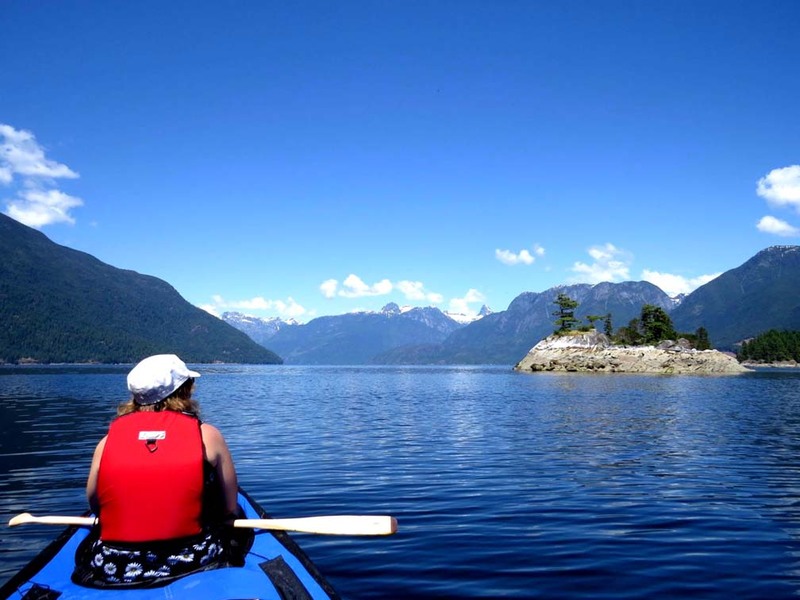 The best time for Desolation Sound kayaking is May – September. The summer months are busy, with hundreds of touring pleasure boats addition to many private and guided kayaks paddling Desolation Sound. With the limited availability of sites in summer, choosing a base camp and day touring from there may provide a less stressful experience. 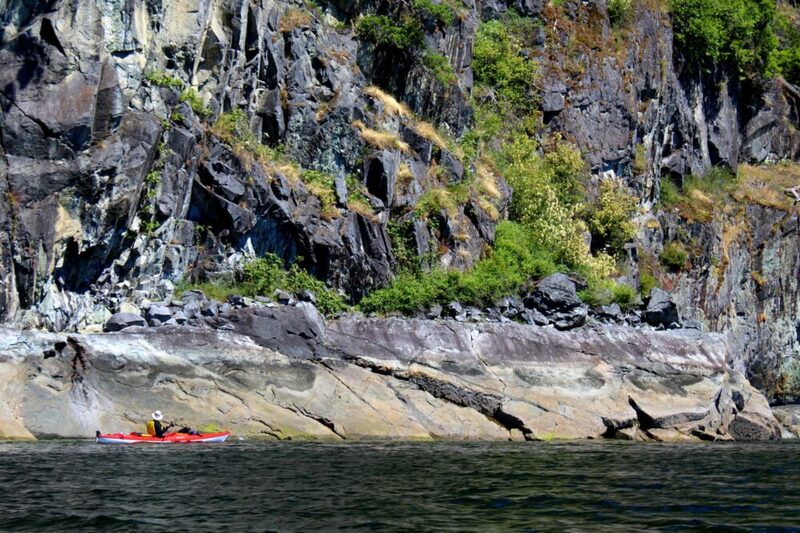 If you prefer to avoid crowds and have your pick of sites, plan a mid-week Desolation Sound kayaking trip in May, June or September. Shoulder season weekends can still be fairly busy so try and avoid leaving on a Friday if possible. 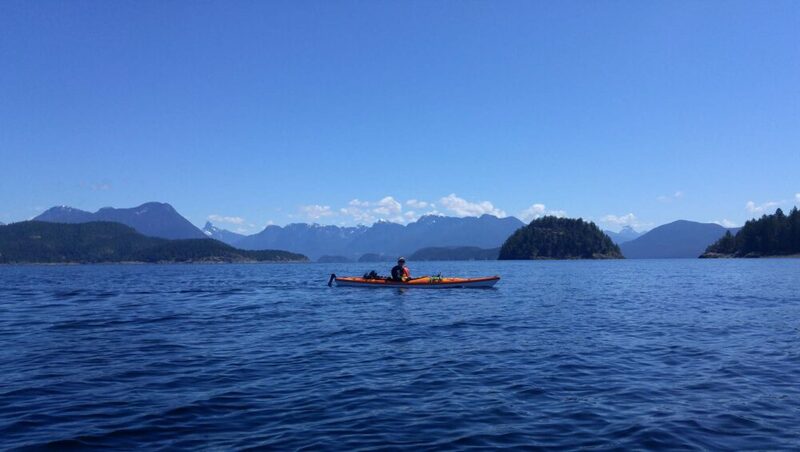 Our first kayak adventure in Desolation Sound was mid-week in late May. We had a whole Curme Island to ourselves for camping and we only saw a handful of other paddlers. Our second Desolation kayaking trip was in mid June, again in mid-week. We saw more passing kayakers this time, but still camped alone every night bar one. Shellfish collecting has long been a favourite of Desolation Sound paddlers. We have feasted on many an oyster during our trips; they are large, plentiful and flavoursome. 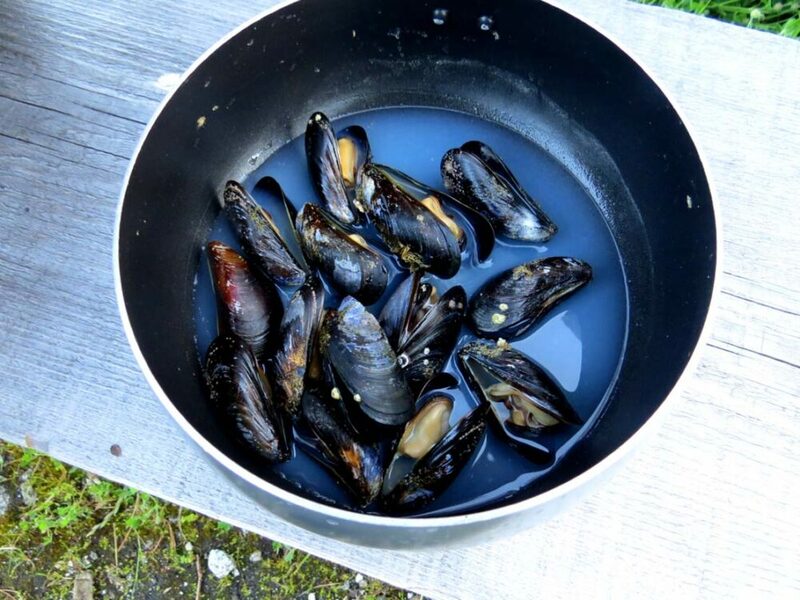 Mussels are much less common, with only small ones sighted on our last trip. 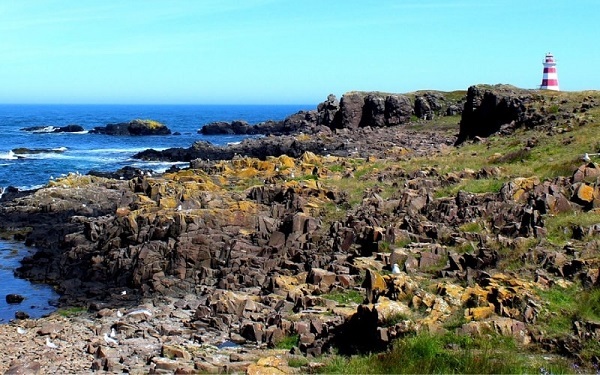 Rockfish fishing was more successful, particularly just to the west of Kinghorn Island, just outside of the Conservation boundary. The Desolation Sound region is located in BC Tidal Area 15. 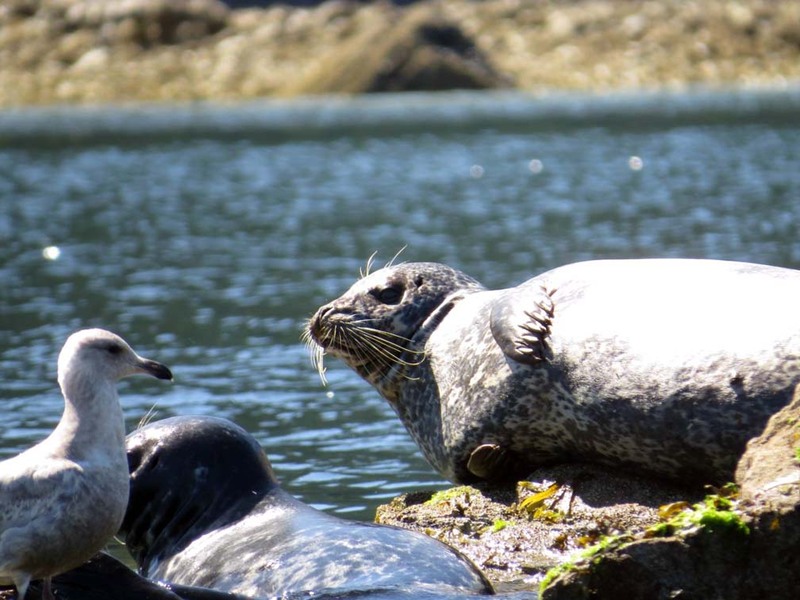 There are some quite specific rules and regulations concerning fishing and collecting shellfish to follow while paddling in Desolation Sound. Quite simply, you can’t just do it everywhere. For example, there is a large Rockfish Conservation Area covering much of Desolation Sound that restricts any fishing of Rockfish at all. It is very important to always read and understand the area closure maps and collection limits before fishing and collecting shellfish. For the latter, it is also vital to check that there are no biotoxin (‘red tide’) shellfish contamination warnings in place. Eating contaminated shellfish can be fatal. To fish or collect shellfish, you must hold a BC Tidal Waters License. These are currently $22 for an annual pass for BC residents. Lucky enough to own both canoes and kayaks, we have visited Desolation Sound with each type of boat. The vast majority of people paddling in Desolation Sound are equipped with kayaks, but we did spot one other canoe on our first trip. We paddled a little faster in the kayaks than the canoe and felt that they handled better in rougher water. 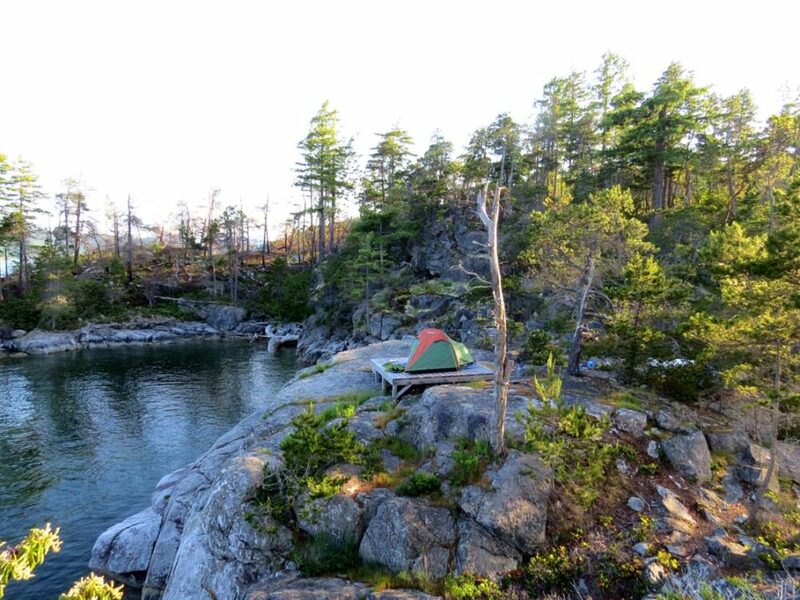 Most campsites in Desolation Sound are on rock bluffs or headlands. Accessing them was easier in the kayaks, with one person getting out of their kayak and then helping the other. Moving the kayaks to higher ground was also a simpler process as they weigh only 45lb each compared to the 80lb canoe and spray deck. For the curious, I thought I’d compile a list of some of the outdoor gear we used on our most recent paddling trip in Desolation Sound. Kayaks – We use 14 feet Delta kayaks. They are thermoformed (ABS acrylic) kayaks made in Maple Ridge, Vancouver. Lightweight, durable and easy to manoeuvre, we love our Deltas. And they look great too! 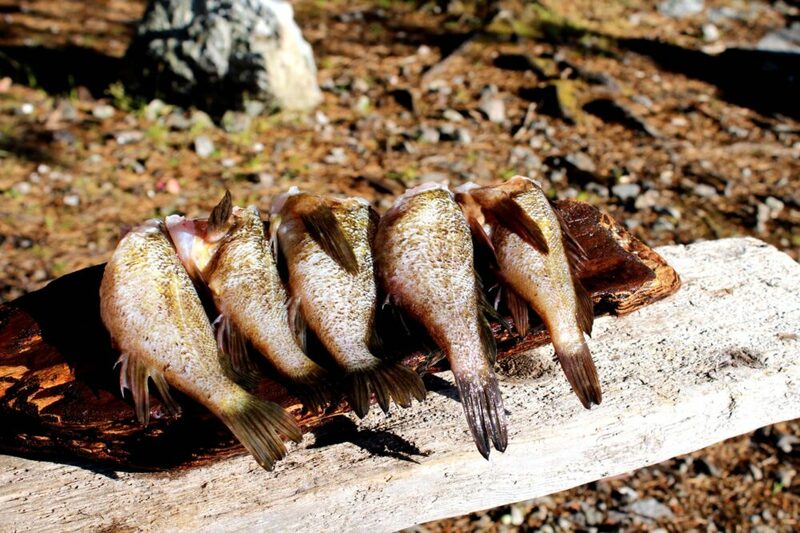 Camp kitchen – This was our first paddling trip using a Jetboil Genesis cooking stove. It’s a bit of a luxury set-up for the backcountry but we really liked the quick cooking time and convenience of having two burners. Tent – Our MSR Freelite 2 is standing the test of time so far, with over 25 nights of successful use over the last two camping seasons. The weight (2lb 11oz packed) is ideal for any backcountry trip we do. The floor space is not as roomy as the Hubba series equivalent, which prioritises space over ultralight weight. Sleeping – On our most recent Desolation trip, JR used his Klymit Insulated Static V (super comfortable!) and I had my Exped Synmat HL. Unfortunately, I made a rookie error and forgot to test my mat before the trip (since it was the first of the year) and it had an air chamber issue. On return, I warrantied it and upgraded to the Exped Synmat HL Duo, so we can lighten our gear kit even more. Sleeping bag wise, we use a couple of old 0c rated bags from MEC. Hammock – Our ENO Doublenest hammock is perfect to bring on paddling trips when we have a little more flexibility with space and weight. It’s great to have somewhere else to hang out and relax. Save or PIN this post for future reference with one of the above images! Thanks for the great info. I have paddled to the Curmies from Cortez, but this year we are going to go from Lund. How long is the average paddle assuming no big winds? It would take around five hours, hugely dependent on your paddling speed and also the weather. 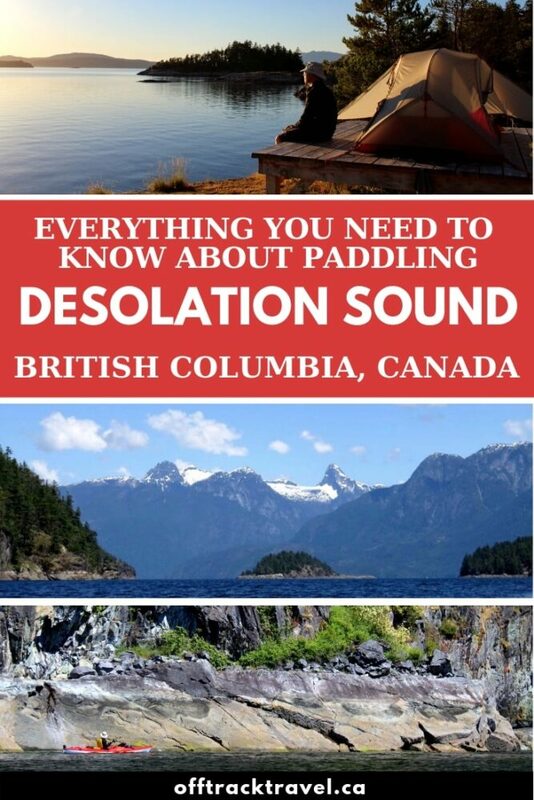 I am glad to discover your blog -it’s highly informative, just what I need to prepare for a solo trip to Desolation Sound. I have quite a few questions which I hope you can help me with? I have included my email so you can reach me there if that’s more convenient. I’m thinking of launching from Lund and potentially setting a basecamp at Copeland Islands. 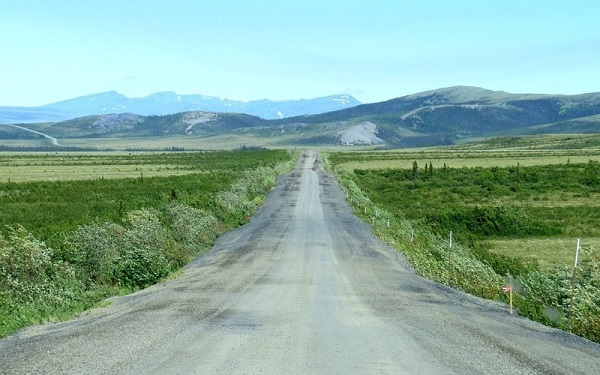 It’ll be a short trip (4 days) and I am worried about the lack of campsites in August. So I’m thinking its best to be sensible, especially with a solo trip. Hi Melissa! I would say it is possible, but I would not recommend it. It puts a LOT of pressure on the ferry journeys going well and the weather conditions still being OK by the time you reach Lund. You would have missed the calm conditions that are likely in the morning. 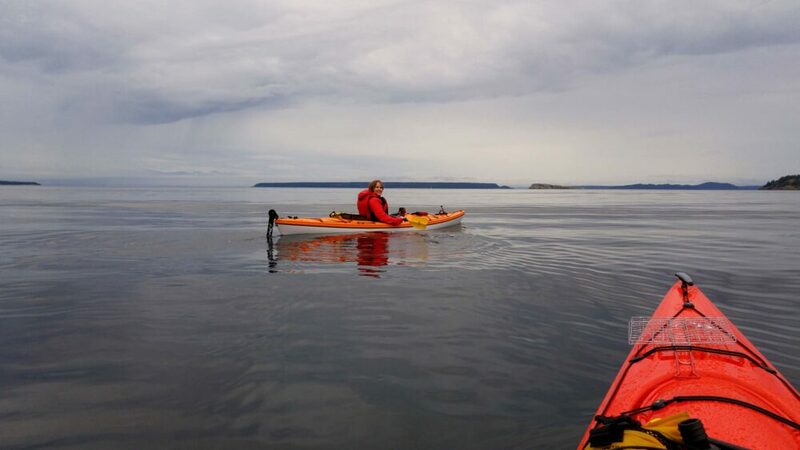 It is true that the Copeland Islands aren’t far and the journey is pretty sheltered, so it does also depend on your kayaking skills and confidence. For me personally, I wouldn’t like having to rush the ferries, the driving, the packing etc. I also wonder if you’d be better off looking for a campsite in the morning rather than the afternoon (this does depend on the day of the week though too). Did you have any issues with critters like bears or raccoons? Should I attempt a bear hang or keep my stuff tight in my kayak hatch? Are there any freshwater sources at/near Copeland Islands? I’ll be bringing water but just wondering. We didn’t have any issue with racoons or bears, but we’ve always used a bear hang or kayak hatches in Desolation Sound. Note that the trees on the islands tend to be small. I am not aware of any freshwater sources on the Copelands. On our most recent trip, we went to Refuge Cove for water. 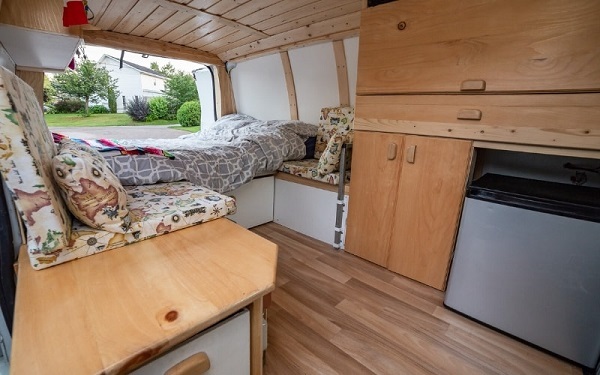 I’d love if you could let me know how your trip goes, especially regarding the availability of camping. The campsite we stayed at on the Copelands (the most northerly island) had many tent pads so I’m interested in how busy they really get. ah, thanks for the tip on the tent pads. i spoke to the rental associate at Powell River Kayaks and they said no one’s had issues being turned back this season due to a full campsite. i will for sure update you on my trip. thanks again for your help and i’m glad i found your website! first things first, it wasn’t busy when i went to Copeland Islands (Sunday-Wednesday). I set base at Middle Copeland and was the only one for the night which is an interesting experience. There were maybe 3-5 other campers between Middle and North Copeland Islands the entire time I was there. there are definitely more recreational boaters and day trippers. the haze from the forest fires took from the views on Desolation Sound, as well as visibility. it was one mile visibility at best-i couldn’t even make out Kinghorn Island from Sarah’s Point! so i had to abandon my initial plan of paddling to Refuge Cove. i had the privilege of seeing a pod of orcas go past Thulin Passage one morning-amazing! definitely alot of seals around. they were particularly boisterous at night-slapping, breaching, grunting and sometimes making eerie human like noises. not sure if you noticed this but there are snakes on Middle Copeland. they’re tiny but quite the surprise when you least expect them. weather was cooperative. no crazy winds even though the forecast called for 1.0-1.5 knots. so, next time, i think i’ll plan a late spring trip to avoid the haze. looking at your pictures, i feel like i’ve missed a special part of the Desolation Sound, i.e. the crystal clear waters. i’ll be bringing my snorkelling gear then! Thanks for giving me an update Melissa! Sounds like you had a good trip despite the smoke. So interesting that the Copelands weren’t busy with campers – sounds like the same amount of people that were there in June. I wonder how much of that was smoke related? SO jealous about you seeing orcas!!! I always seem to miss them. I’ve been on a number of paddling trips in the area (including a 5 day kayaking trip in Johnstone Strait, specifically to see Orcas) and they always allude me. Good to know about the snakes, I haven’t come across any around the Desolation Sound area. according to the kayak company i rented from, there’s usually enough camping space in the Copelands, as you know especially North Copeland. i think it’s the timing as well. couple of ladies i met told me the Middle Copeland’s were completely full the day before i arrived so i guess most of the camping traffic is over the weekends? and i think the smoke definitely was a factor too. thanks again for your input-i’m sure I’ll have many other questions down the road for future trips!